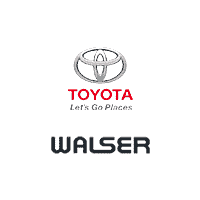 Walser Toyota is in the business of getting drivers into the seats of the cars they love, which is why our expert Toyota finance team is available to work with you and answer any questions. Financing at our Toyota dealership near Minneapolis, MN, gives you a whole host of advantages not available anywhere else. The moment you step onto our lot you will be greeted by our philosophy of customer service – The Walser Way. The Walser Way is what sets us apart from other dealerships, and allows you to have a stress-free, no-pressure car-buying experience. We offer our best price first on every car, eliminating the need to negotiate down an inflated price. Our sales team works commission-free, so they never feel pressured to make a sale and can instead focus on pairing you with the perfect vehicle. Plus, you get to work one-on-one with a single person throughout your entire visit. That means the person who takes you on your first test-drive is the same person who helps draw up the financing paperwork. We’ll go over finance and lease offers, warranty coverage and more so that you have a full understanding of the benefits of your purchase. In addition to this, all new and most pre-owned cars come with a complimentary Limited Powertrain Warranty for Life, with no mileage restrictions. This no-cost maintenance plan covers many of the most crucial parts of your vehicle, helping you save money down the road. Our Toyota finance team is here to make this process easy and stress-free, but we understand that buying a car can come with some hesitation. That is why all purchases are worry-free and come with a minimum 3-day/300-mile return policy. Explore your Toyota finance options today at our dealership near Minneapolis, MN!